A little bit about makeup, a little bit about fashion and a whole lot of happiness. I've always thought of Easter weekend to be the ushering in of true spring. This past weekend, we had our first taste of humid air. Its simply part and parcel of living on the ocean. 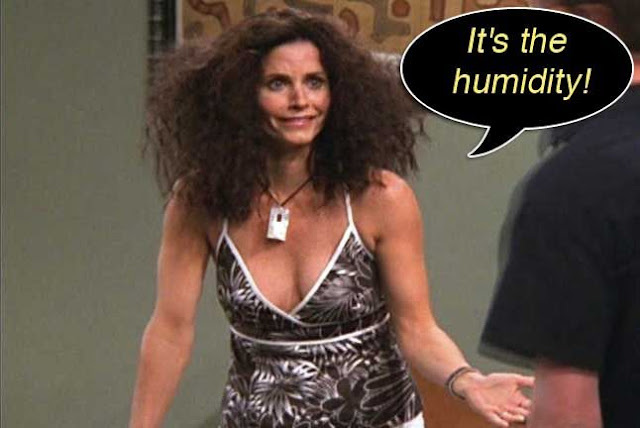 Humidity has always been especially cruel to my thick, naturally curly hair (that I blow out). 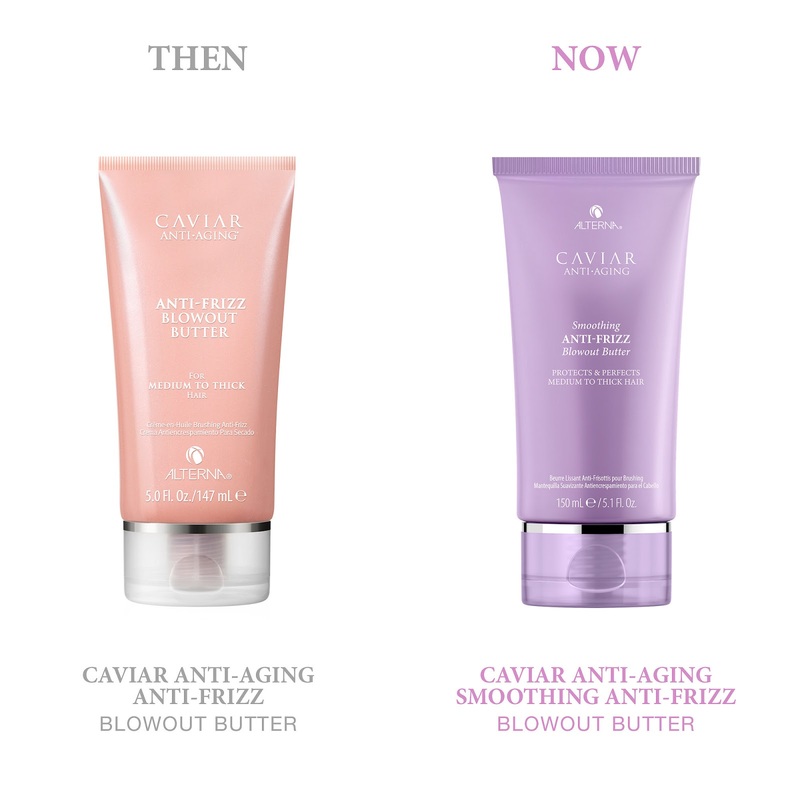 I've tried pretty much each and every frizz fighter out there over the past 20 years. Over the past few summers, I've found myself some serious "product heroes" as I like to call them. These are my solders that battle the frizz. Today, I'm going to share them with you. Let me stress, a little of this goes a VERY, VERY long way. I have a lot of hair. My hair is very thick. I use a dime sized amount on my collar bone length hair. It works like a charm and smells very light and clean. This is not a hair spay, contrary to the looks of it. After you have dried your hair, section it out and spray this over each section. It acts as if its a fortress around your hair protecting it from the muggies. It does not weigh your hair down at all and smells like pink grapefruit. Not that its the point of this post, but the scent on this stuff is just divine. Yes, this one is pricey. 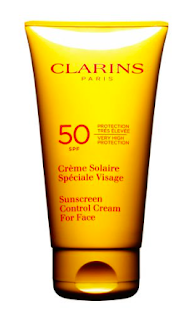 One tube of this lasts me SO LONG though. Again, a very little goes quite a long way. I'm obsessed with this stuff. I know that I've talked about this one before. This stuff is so unlike anything I've ever used before. It looks, feels and smells like regular water. 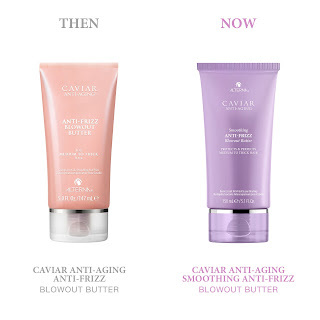 However, it transforms my hair like nothing else. Its so effective, you only use it every 3rd time you wash your hair. 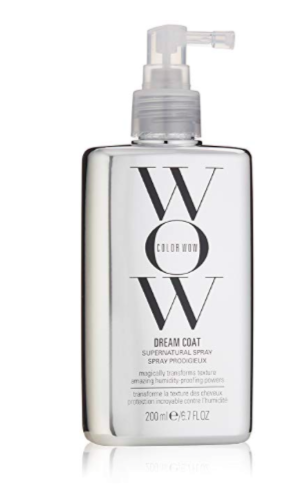 I spray it on to each individual section of hair before I blow dry it. 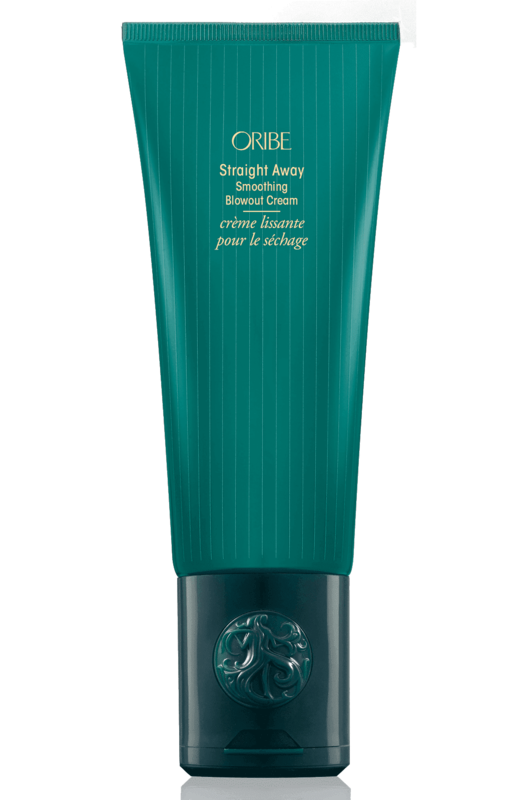 Aside from how it virtually makes your hair humidity proof, it makes my hair shine like its NEVER shined before. I wish I could give this stuff an award. So that's it from me. 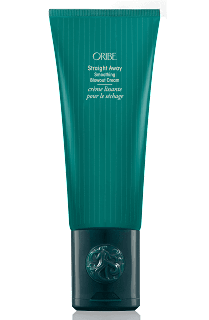 Are there any products that you swear by to fight the frizz? Its finally fun, warm weather clothing time,hooray! I know, I sound like a broken record. I get it. I can't help it, I love the warm weather. Last summer, I did a "The look for Less" post. I was surprised how popular it was. Then again, I'm surprised that any of you read anything that I post. So, THANK YOU so much for that. I thought we should do more of these posts, because who doesn't love getting a deal? First, this jumpsuit. I saw it on Nordstrom late February-ish. I loved it, bu it just was not time for spring shopping. 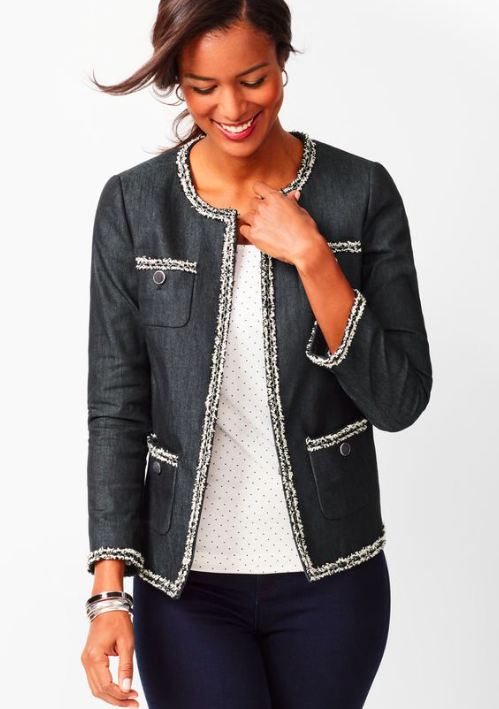 On Nordstrom, it was $120. Well, I found the exact same thing on Amazon for $25! The one on the left is the less expensive one. I think it looks better. I'd of included the link to the Nordstrom one too, but their page seems to be down. Its by the brand 1901 though if you really want to find it. Look at these jellies! These are so adorable. I don't hide the fact that I love me some designer things. I love the feeling of taking home a new bag or whatnot, that I'd been coveting for months and months. Truly though, I don't want to save up for jelly sandals. I'll save up for a bag, I'll save up for sunglasses. For Jelly sandals though, I'm gladly going to scoop up the $20 pair. Now, let's look at these pants. So comfy, yet they don't look sloppy. Effortless chic, I'd call them. I have both of these actually. I'm not going to turn down comfy, summer pants. I love and recommend both pairs. Moving along, is essentially the shorts version of the pants. I love what is know as "paper bag" shorts and skirts. They define the waist , but are still super comfy. Those are today's "deals". This type of blog post is fun to post. I think I'll do more of them as the spring and summer play out. Yesterday, we celebrated my Mother-in-law's birthday. She is SUCH an amazing person. Truly, so full of love and kindness. Plus, she raised literally the best human I've ever known. I got to thinking as I have been switching out my closet for the season (bye boots! Bye sweaters!! c-ya!! ), just how much of my wardrobe is from New England based apparel manufactures. I thought that it would be kind of fun to talk about my favorite New England based companies here today. In my 20's, I did a LOT of domestic travel. Between the ages of 24-30, I made it to 40 off the 50 states. I make no attempt to ever hide how much I LOVE MY COUNTRY. I know that literally every other blessing in my life goes back to the fact that I am an American. However, I'll get into that more later (Hello July 4th!!!). 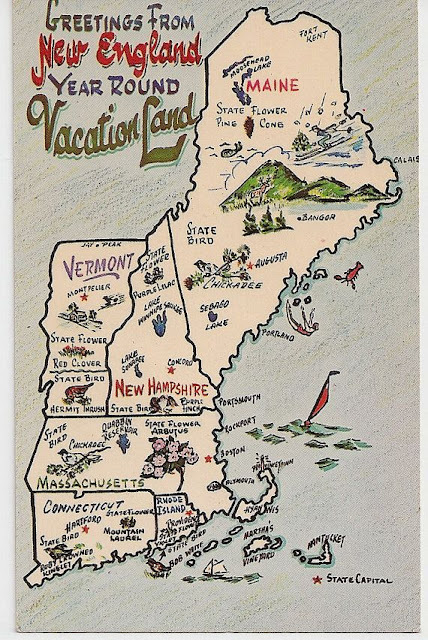 As a young 20 something though, I remember being surprised to see as I ventured into other parts of the country, that most folks are not nearly as preppy as we are here in New England! Who knew? I'm not sure WHY New England is so preppy ? I'm going to guess that it has something to do with the amount of Ivy League colleges that are here, the lasting JFK legacy and the fact that we have Nantucket? These are just purely guesses on my part though, so don't try to take it to the bank! Anyhow, here are the New England brands that I live in and love. Going strong since 1998, Vineyard Vines was started by two brothers from Greenwich, CT who summered on Martha's Vineyard. You really cannot get more New England than that. I am so happy to see LL Bean back in sun. 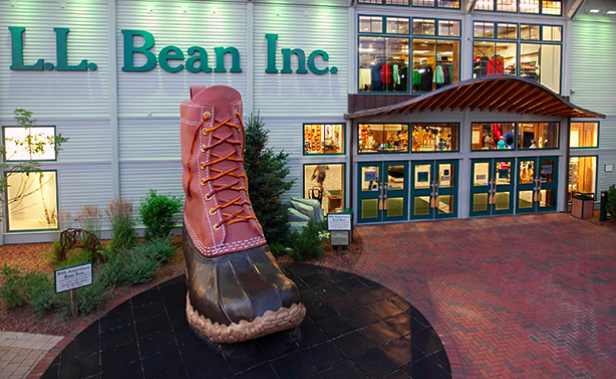 Bean Boots are as hot as can be, again (this is very cyclical). 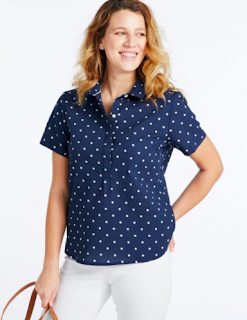 Aside from Bean Boots, LL Bean has amazing polos, button downs, jackets, totes , etc. Their quality really, truly is better than most everything else out there. While Bean is very preppy, thats not what their Maine (pun intended) mission is. LL Bean sets out to appeal to the practical New Englander. Common sense and quality is what this company is all about. Off to the ocean state from this company which is owned by a hubby and wifey team who have a cute baby, ADORABLE dog and really cool Jeep Grandwagoneer. 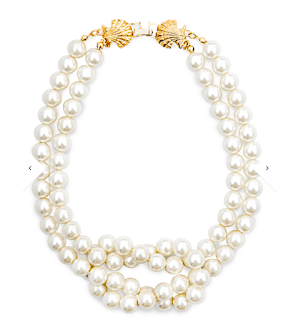 Their quality is FANTASTIC and is all made right here in New England. Oh, and another cool thing? These folks are completly self-made. They built every aspect of their company with their own two hands. It just makes me happy to support them and their brand. Back to Massachusetts for Sperry. 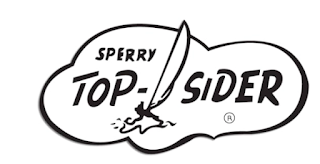 I don't think I know a single New Englander who has not opened a pair of Sperry's at one point or another. 80+ years later, they are stinging strong. More from Massachusetts! Frye Boots originated in Marlbrough, MA in 1863. The best, softest leather EVER. Frye boots look amazing when you first get them. Somehow, someway though they get better looking with each and every wear. 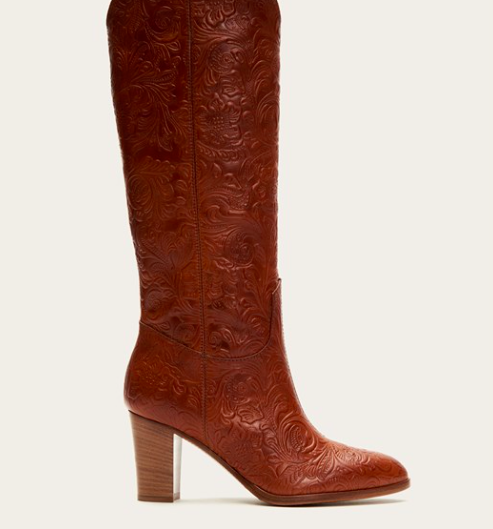 True story, I have a client who has a pair of Frye boots that she bought in 1981. They are to die for. 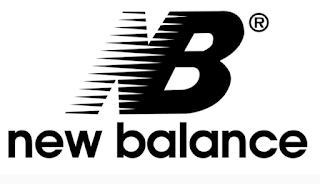 Next up, we have a tie..
New Balance is known for their world class running shoes. Converse dominated professional basketball for years. Converse is great because they cross all sorts of style boundaries . Preepsters, hipsters and many others proudly rock this brand. 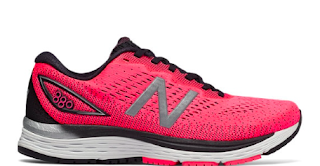 New Balance is the reigning champ of athletic footwear for runners, cross fit devotees and more. 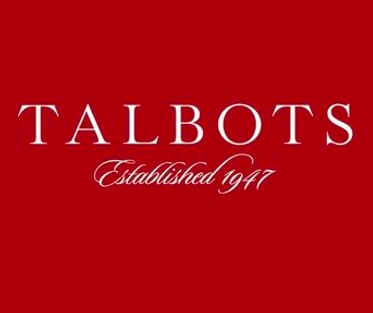 Talbots is the epitome of well made Classics. Founded in Hingham, MA (about 20 min from where I live!) in 1947, Talbots has perpetually been a purveyor of well made classics. Their clothing lasts forever. That on top of the fact that they are so classic that they won't go out of style. I really cannot get enough of this brand. Well this was fun! Are there any brands that are local to where you are from? Shout them out! Hiiiii! Welcome to your almost weekend! Woo Hoo! Any big plans for anyone? So today, I'm here to chit chat with you about a newish thing. Clothes shopping on Amazon. I noticed toward the end of the summer that a lot of real bloggers ( meaning people who run income generating blogs with referral links) had been doing Amazon hauls. I'll admit , I was slightly skeptical at first. Why though, I don't know? For years, I've been using amazon to order a lot of my higher end hair products,pet treats and cleaning supplies. I don't know why I had my reservations about clothing. However, what finally sold me was a post by Cassie at "Hi Sugarplum!" , who by the way is my favorite blogger ever. Read here here: Hi Sugarplum!. I subscribe to Cassie. One morning I had an email alerting me to a new post on Hi Sugar Plum and saw her modeling a darling outfit. I was eager to log into Nordstrom or J Crew to get it for myself, when I had read the words "Amazon Haul". What? No! It couldn't be?? Sure enough though it WAS from Amazon and it was a total steal. I added a few of her recommendations to my cart. Two short days later, I was sold. Of course, if you know me you know that if a little of something is good, a lot must be great #flawedthinking. I went a bit wild and ordered lots and lots of stuff ( most of which I found on my own). Of course, not all that glitters is gold. I got some serious duds as well. I've put together here for you today, a few of the things that I learned by trial and error in regards to ordering through Amazon for clothing. This is so important. Look at the overall amount of "stars". Read some of the reviews, look at the customer photos. This is where you'll see if this is a win or fail that you are interested in. This will save you SO much trouble if you do get a dud. If it ships through Prime, you'll have no trouble returning it. Also, you'll get it in a reasonable time frame. Once, I ordered a sweater for Valentine's Day. I ordered it in late December....It did not come until mid March. It wasn't on prime, it shipped from overseas. It looked nothing like in the photos. It was $35 down the drain. I recently bought this adorable one shoulder romper. It came today and fit perfectly. I've learned the hard way to always look to see how many previous purchasers say if it fits "TTS" , "Runs slightly small", "Runs very small" and so on. Inline with much of the industry, a lot of Amazon's clothes are made in Asia and are sold world wide. You you want to be sure that if you are a medium in the US, what you are buying fits a US medium. I recently bought this blouse. I wish that the picture did it justice. It was under $20.00 and is the softest cotton. Its double stitched and I'd of easily paid triple for this and still would of found it to be a bargain. I'm not saying to rule out all synthetics. Just remember that you can't feel before you buy. So, if cotton,wool,cashmere etc is available, thats your safest bet. Don't just type in "dress". Type in "ladies black sheath dress size medium". The amount of clothing on Amazon requires you to be as specific as you can possibly be. Otherwise, you'll be searching for hours upon hours. 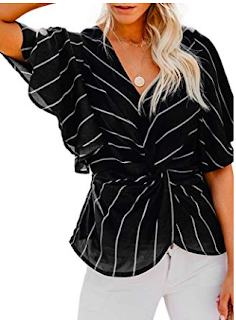 I saw this blouse and loved it. I was excited to see that the seller put detailed care instructions. Why does this matter? In my experience, the brands that are the most trustworthy will take the time to supply you with detailed instructions. If an item is $5.00 at regular price, avoid it. This is a case of if it looks to good to be true, it likely is. A few months back, I saw a cute top. Its price was $3.00. Yes, $3.00. For kicks and riddles I ordered it. Thank goodness, I wasn't expecting much. This thing looked awful! It was worth the laugh though. Many of them are doing Amazon hauls now. They are more than willing to shift through all the crapola so that we don't have to. If they are finding stuff that you like, use their links! It won't cost you a dime extra, but rewards them for their work. Also, if you are buying from a bloggers suggestion, use a web browser, not the app. For some reason, if we shop from the app, they don't get a commission. I don't know about you, buy I'd rather help to support the bloggers that I love and their families instead of letting Amazon keep it all. Have you had luck shopping for clothes on Amazon? What are your tips? Do share! Hello my friends, I hope everyone is doing well today. For the first time in a number of years, it feels as if we are actually having a spring here in costal Massachusetts. Trust me, this is a rarity. Normally, we stay cold and rainy (If not snowy) through April into May, then it hits 90 degrees. Actually having spring weather this year, is just so refreshing. It got me to thinking that I actually have time to go "hunt and gather" what I need as my ride or dies as we march on into this new season. These are my "necessities". 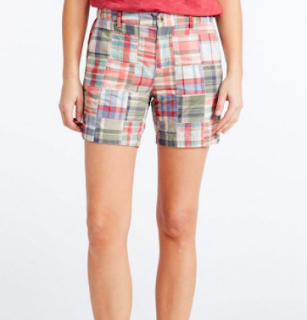 I'm currently obsessing over these beauties by Tory Burch. 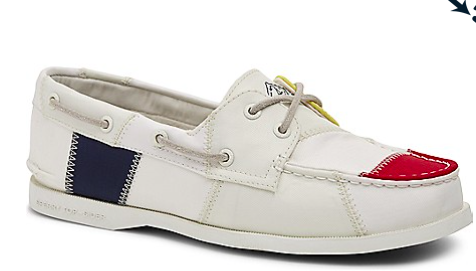 Fit tip, when buying Tory Burch shoes, go up one FULL size. Not a half size, a full size. If you normally wear a 6.5, get a 7.5. The color, the texture all scream "I see you summer!!" 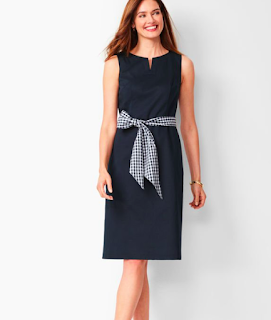 This particular style is so flattering. Plus, look at that price? How do you beat that!? Even if you are not (yet) concerned about skin cancer, you should be concerned about what sun damage will do to your appearance. You cannot botox or laser you way out of "laying out" or worse yet, the tanning bed. Still though, you don't need to do those things to have the wrath of the sun show up on your face. Driving in your car, walking through the parking lot, it all adds up. Put sun screen on each.and.ever.day. Full disclosure here, I'm a natural D cup. I don't really have the option to go braless. When it starts warming up, I love sleeveless and strapless tops and dresses. However, it seemed as if I always had to make the choice between staples bars that were either ineffective or painful. Then, I discover Wocoal. 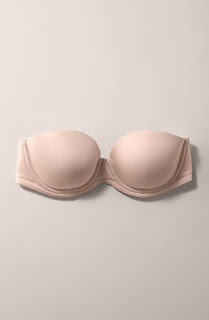 This bra stays up, stays put, lifts and supports all while remaining comfortable to wear. I'm sure I'm getting some eye-rolls here....but hear me out. 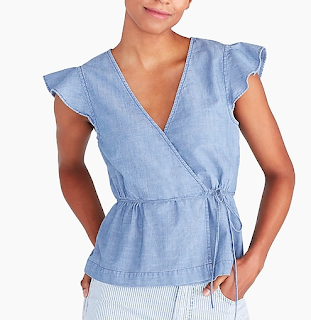 A romper can be very put together, but still fun and casual. The whole "but what about when I need to pee?" argument is lost on me. When you need to go to the bathroom you need to unbutton and unzip your pants, right? With a romper, you are doing the same thing, just higher up. I LOOOOOVE this one by Hi SugarPlum! I'm having total Pretty Woman vibes. Friends, let me tell you...I've tried all of the tanners out there. The good, the bad and the ugly. (Read about them (Here). 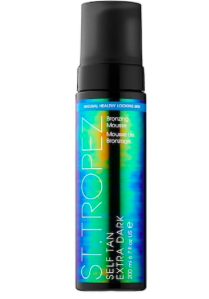 This San Tropez extra dark is my current (all time) favorite. It truly gives you a deep, rich, "I just went somewhere" tan. 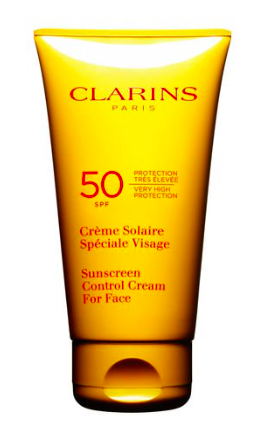 Last summer, I went through 4 bottles of this. You want something fun and punchy to go with that new (FAUX) tan that you've got. Corals and fuchsias look so good right about now. 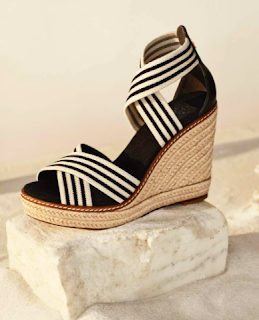 Carmen Sol is made in Italy. They have ADORABLE jelly bags and sandals. These are such a change from the jellies of our youth. Yet, the whimsey is there. I don't even know where to begin with this. Its beyond a game changer. All other Frizz Fighters Ive used before are heavy, sticky ,silicone based. This one feels like water. They tell you to use it every 3rd blow dry. 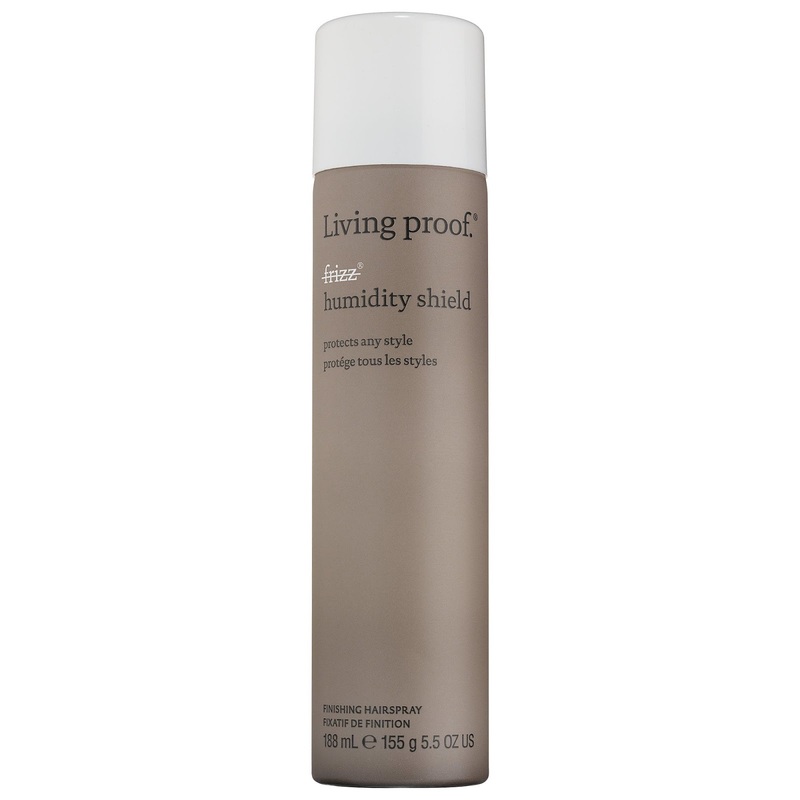 Aside from keeping your hair smooth,it also makes it shinny, soft and silk like. It makes MY hair feel that way. Which, is remarkable because my hair is so coarse naturally. Growing up on the ocean is special. There are some amazing unique smells. 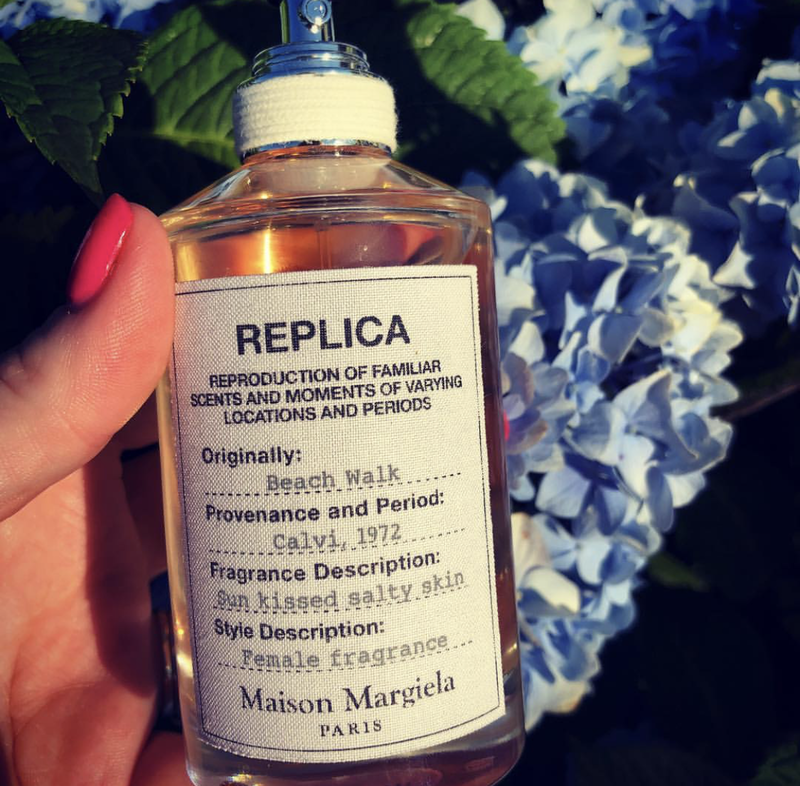 This perfume is the only one I've ever known that captures it. It smells like when the salty air mixes in with the plum roses and coconut lotion. Heaven. Your summer scent may be something entirely different. 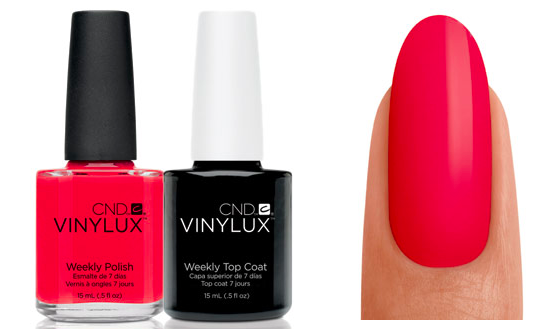 Its just time to step away from the heavy winter fragrances for something lighter. 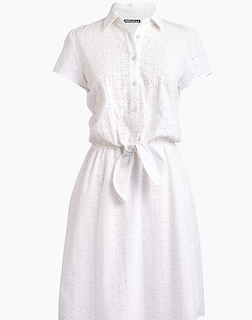 I've loved white eyelet anything and everything since I was a kid. To me, it just screams SUMMER!!!!! Okay, new obsession here Robert Marc sunglasses. I have a pair of Gucci glasses, I have a pair of Ray-Bans...they have all been in their cases since I got my Robert Marc glasses. 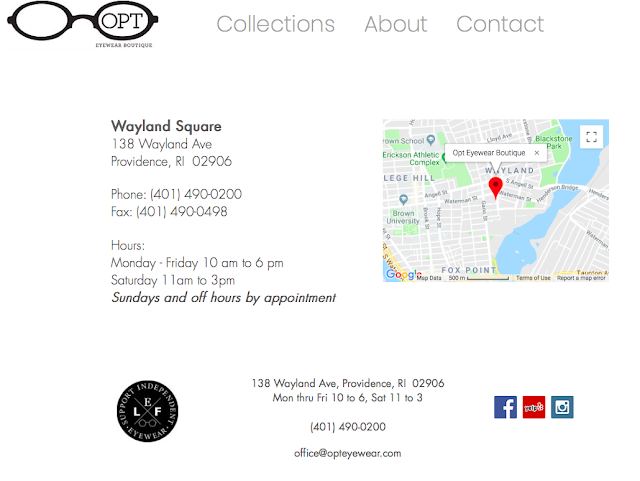 If I may be so bold, please let me recommend that you contact Opt Eyewear in Providence to see these chic glasses. I can personally tell you that the owners are good people who will see that you are taken very well care of. All right. These are my warm weather "musts". What are yours? Lets compare notes! Hello, I am Sheila. Known as SheShe to my friends and family. I am married to my favorite person in the world. We live in Plymouth,MA with our 2 rescue dogs, Decoy & Bandit. I love to entertain. Having dinner, cocktail parties is my ‘thing’. Not too much beats having your house filled with fantastic people. I am very actively involved in animal rescue, that is a PASSION of mine. I’m a lover of all things girly glam...Basic and proud! ;) Maybe you are reading because you share some of these interests ? Regardless of why, I am glad that you are here! Pizza night...You CAN make pizza at home that is better than any pizza you'd buy.